On this edition of INTERVUE, “Anything Goes” is a musical that follows the story of crazy antics aboard an 1920’s ocean liner bound from New York to London. Today, I recently had the pleasure of talking to one of the actors of the musical, I present to you, Mr. Stephen Mark! For those who never heard of “Anything Goes”, tell us what’s it all about? Anything Goes has many interweaving plot lines, but the main story is about Billy Crocker, a stockbroker, who’s in love with debutant Hope Harcourt. Hope is traveling to England on the S.S. American with her fiancée, Lord Evelyn Oakleigh, so Billy stows away aboard the ship to win her back, and enlists the help of his friends Moony, a gangster, and Reno Sweeney, a nightclub singer turned evangelist. Watching their tangle antics unfold and collide with the boatload of other characters makes for a hilarious show and a fantastic night at the theater. Tell us about the role you play in Anything Goes? I play JOHN, a Christian convert traveling with the Rev. Henry T. Dobson to a convention in England. When the Reverend is arrest based on phony charges, John and his fellow convert Luke are left to make the journey across the Atlantic by themselves, and forced to confront the temptations they of alcohol and gambling, which they had joined the church to avoid. What is it like to work with the cast and crew? I love this cast and crew. They are like a second family! I joined the cast a little later in the tour, and there wasn’t a single company member who hasn’t reached out to see how I am doing or offer their help both onstage and off. How did you break into the world of acting? I grew up in Ridgefield, CT. I started doing in musicals there in the fourth grade and continued on through high school. Ridgefield High School had an award winning theater program. In 2009, the accolades won by our production of Thoroughly Modern Millie allowed me to compete in the National High School Musical Theater Awards, which is where I first met Emma Stratton, our Reno Sweeney. After winning the 2009 “Jimmy Award”, I decided I wanted to pursue a career in theater. Is there a favorite city where you love to perform? I went to NYU, and have performed many shows up and down the island of Manhattan. There is nothing quite like performing an evening show, stepping out onto the streets of New York, and walking home. Theater is just a part of the pulse of that city. I look forward to the day that I get to perform there professionally. Will this be your first time performing in our Nation’s capital? I love this city, and have traveled here many times to visit the memorials and wander through the museums, but this will be my first time performing in D.C. I’m thrilled by the opportunity to do so! It feels like a real privilege. When you’re not performing, what do you like to do in your spare time? I like to practice yoga and meditate. My “home studio” is Ishta yoga in Union Square, Manhattan, NYC. I also knit and read. I guess I have to offset the frenetic energy on stage with peace and tranquility off stage. Is there a single role out there that you would love to play one day? 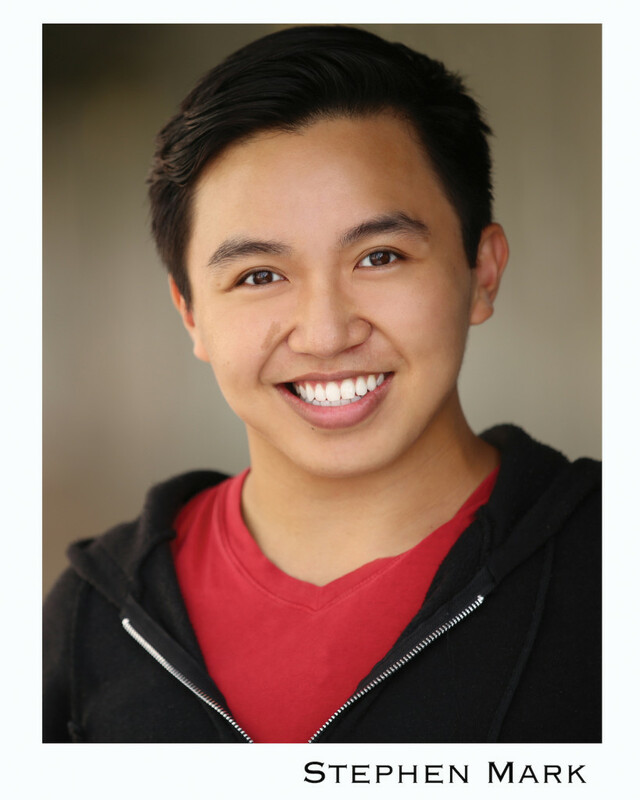 I’d love to play Chip Tolentino in The 25th Annual Putnam County Spelling Bee. If you could give one piece of advice to someone who would love to have a career in acting, what would you tell them? You must train. Talent can only get you so far. Performing eight shows a week is hard on the body, mind, and spirit, and only good training will get you through it. Find teachers who are still actively working in the scene you want to break into, and treat them with respect. They will become important connections when you start auditioning. Thank you Stephen for the interview. If you love musicals, be sure to check out Stephen and the rest of the cast of “Anything Goes” when it makes its Washington, D.C. premiere at the Warner Theatre for two shows only on Wednesday, February 25 and Thursday, February 26, 2015, at 7:30 p.m. Tickets are on sale now at the Warner Theatre box office, Ticketmaster.com, WarnerTheatreDC.com, or charge by phone at 800-745-3000.